This stunning Elephant double duvet cover set is inspired by the Elephant Festival of Jaipur. 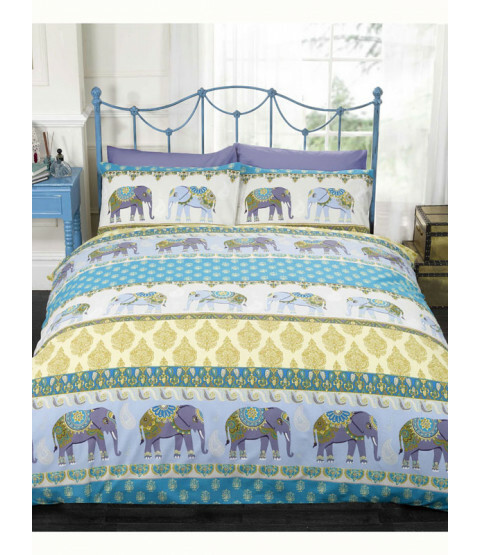 The design features elephants adorned with all their finery with patterned bands that resemble eye-catching Indian style fabrics in shades of blue and gold. This bedding set is made from a polycotton blend and is suitable for machine washing and tumble drying.